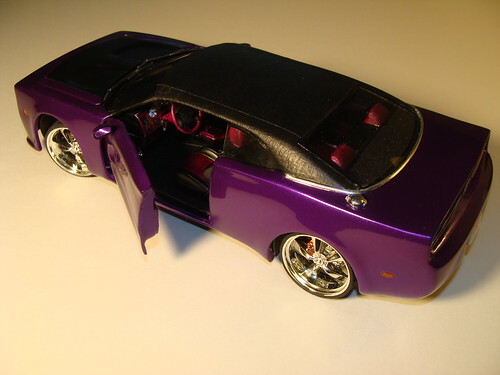 Peter Lombardo from New Jersey, USA, paid homage to my Charger Concept and built the Car in 1/25 scale. The outcome is simply stunning and pretty close to the drawings. Very well done Peter! For those who want to discover the building process just see how he started and then the completion of the project. Peter is a modeler with heart and soul and he has some wild and radical creations in his portfolio, like an Art Deco Style Coupe that he dubbed “Cybele”. You can view this and many other works by Peter in his Flickr gallery! The design is based on the Road Runner Concept. It’s the comeback of a winged warrior. And a reminiscence of the good old days in Nascar Racing. Brought back to the future. Gentlemen, start your engines! You are currently browsing the Michael Leonhard's Blog blog archives for October, 2009.